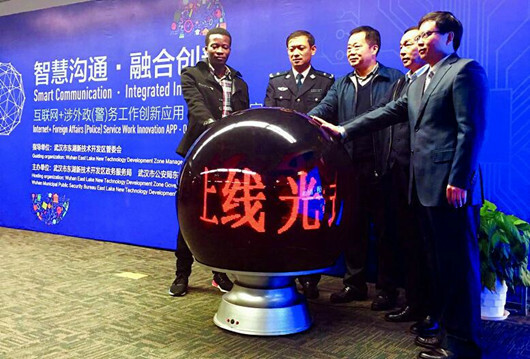 Guanggu Fanyiguan(the translators in the Optics Valley), China's first "inernet + foreign affairs (police)" service work innovation app, was launched in Wuhan, capital city of central China's Hubei Province, on November 21, 2016. Co-built by Wuhan police and the management committee of East Lake High-tech Development Zone (a.k.a. Optics Valley), this app features a platform bringing together foreigners, civilian police and translators for real-time translation over the mobile phone. As of November this year, the East Lake High-tech Development Zone has been home to nearly 4,000 foreigners, more than 300 foreign-owned enterprises and around 30,000 temporary residents every year. 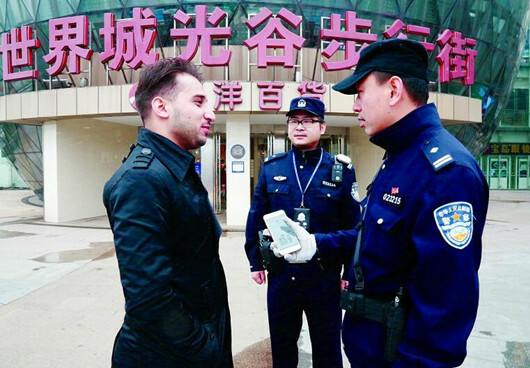 The foreigners in the zone have increasingly diversify in identity and language, according to the Public Security Sub-Bureau of East Lake High-tech Development Zone. The app, Guanggu Fanyiguan is planned to meet the language needs of 95 percent of the permanent foreigners in Optics Valley, with 19 language choices as English, Japanese, Korean, Russian, French, Arabic, German, Spanish, Vietnamese, Thai, etc. The volunteer translators, as many as over 2,000 people, are recruited from the universities and colleges in Wuhan. They maily hail from Syria, Tajikistan, Vietnam, Somalia, Uzbekistan, Senegal, Cameroon and other dozens of countries and regions. People who want to be the vonlunteer translator could follow the public WeChat account called “光谷翻译官”, said the Public Security Sub-Bureau of East Lake High-tech Development Zone, adding that the outsanding volunteers will be granted spiritual and material rewards at some extend.